July 2014 • Glenn Hughes’ new band CALIFORNIA BREED had their debut CD issued in June and will be doing a handful of shows in the UK later this year, supporting Slash. These are all large arena shows. The CD (in a limited edition digipak) can be ordered at DTB Online store. July 2013 • A reissue of the 19882 Hughes Thrall album on vinyl is due out at the end of the month. One of fans’ favourite projects from Glenn, this is a heavyweight vinyl release pressed in Europe. It can be ordered at DTB Online store. 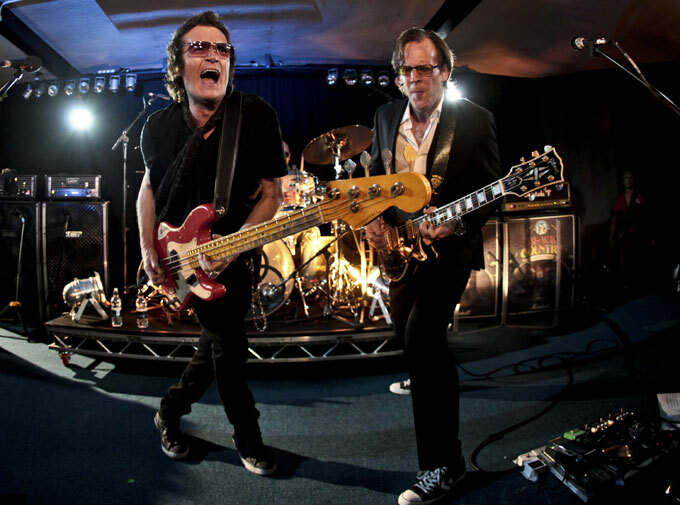 March 27 2013 • Glenn Hughes is starting to get things together on a new solo album following what he now describes as the irretrievable breakdown of Black Country Communion, and it will be in a rockier vein. BCC cannot return as such because Bonamassa has a veto on the use of the name. March 21 2013 • Glenn Hughes is doing a short Australian tour at the end of April. He will perform in an ad hoc group called Kings Of Chaos. The show will be in two halves; acoustic first set and rock second set, covering both tracks from many of the groups he’s worked with. He is also guesting at a charity show on March 27 at the Whisky A Go Go in California. Thanks to Stephen Clare and Matthew Kean. 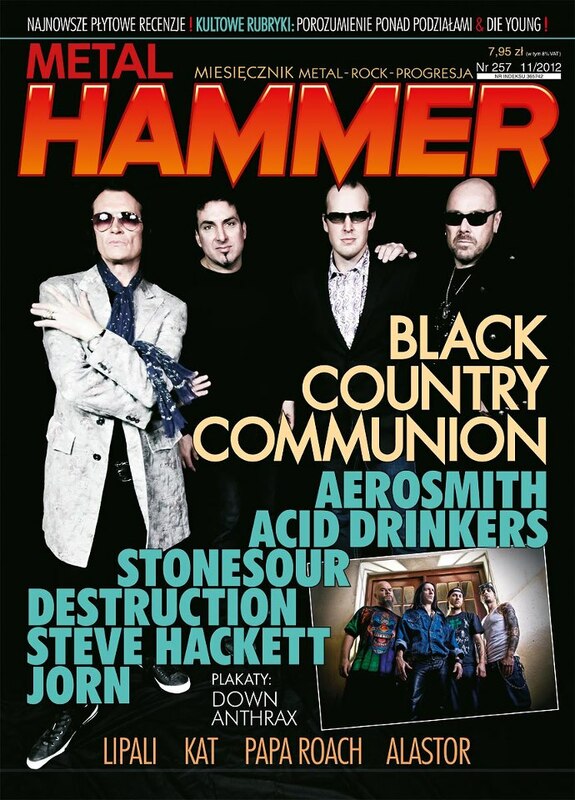 Oct 29 2012 • BCC made the cover of the November edition of Metal Hammer, sent in by Trace Keane. Watch this space I suppose! Thanks to Tim Summers. The third BCC album is due any time now and is available through the DTB Online store. 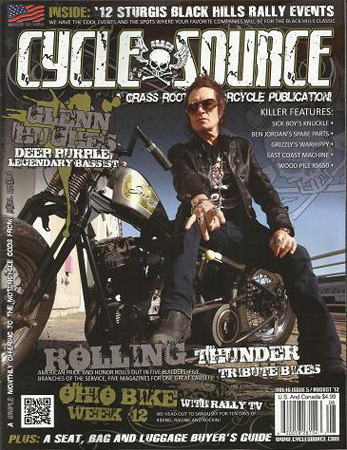 The August 2012 issue of the American magazine Cycle Source has a neat photo of Glenn Hughes on the cover. Thanks to Trace Keane for the scan. It’s really sad BCC has disbanded. It’s not often that fans get bestowed upon them a band as creative and imaginative as these four individuals, who were able to produce an infusion of styles. Was looking forward to seeing them play. Oh well… Nevertheless I wish them the best. Hopefully, after everything settles, they’ll do a reunion. It is indeed a shame that this association could not keep it together – one of the few times the “supergroup” designation came through as promised. With three strong releases and a powerful live recording in just a few short years, BCC filled a hard rock void that had been empty for a long time. This disintegration, however, is not something that will keep Glenn down. He already has hinted at new solo albums and replacing Joe with someone else. The future of BCC does not depend on that man. It seems that Bonamassa will not allow the use of the BCC name (hmmm), so expect the next project to go under a different moniker. I was never fond of the name anyway. Meanwhile, we have a small catalog of classic 70’s-style albums the likes of which we have not seen in some time. Black Country Communion was a real treat. It is now time to pass the torch back to DP for the time being. The new Deep ?urp!e album will give Glenn time enough to come out with his next opus and keep us fans sufficiently satiated with new tunes. Please no more BCC, or at least have a 2 year sabbatical please! So Glenn can tap back into that Soul Funk Groove again. I want to see Glenn rebooting his solo career. No disrepect to the other BCC members. Come back JJ Marsh or Jeff Kolman. Yeah, I only saw the one BCC show, but have seen much better GH concerts over the years to be honest. Agree with comments that it might be interesting to see what BCC could do with another guitarist, and Vinnie Moore from UFO fits the bill! Plus he has, of course, played with Bonham in UFO. In fact do a ‘BCC 4’ with him and he would take some of the songwriting pressure off Glenn, writing songs in the early 70’s vein which BCC is meant to represent – good idea?? NO NO – grow up all you guys in BCC! Must admit Simon everyone has their personal reasons why it should or should not happen, but at least they have made it to 3, and when you look at the logistics 4 releases within a 2 year time frame that’s not bad! With J.B.’s work load I am very surprised that they could do both constantly. With Joe touring right now with his new album, we get to see him in 3 weeks time. All in all at least if they do call it a day, they have left us with pretty cool music, and that’s fine. Joe’s solo stuff is great live, I can testify to that and with BCC he’s is pretty damn good too. But there are other great guitar players (maybe Ritchie’s knocking on the front door) who could fill a little touring gap surely (or is that Shirley as my spell corrector seems to want to put in?). Maybe Jimmy wants a job over the winter….. Yes, went to see Joe solo the other month, and good value for money – no support, just on and straight in for over two hours. He really has the grey blues market nailed. But it might be fun to see what BCC could do with other players. And let’s not start on the “Call me Shirley” road!